MNS said the Ola management, during their talks with the police and the wing's representatives earlier in the day, has given a written commitment on meeting the various demands. Mumbai: Drivers of app-based cab service Ola today called off their three-day-old strike, the transport wing of the Raj Thackeray-led Maharashtra Navnirman Sena, spearheading the stir, said. 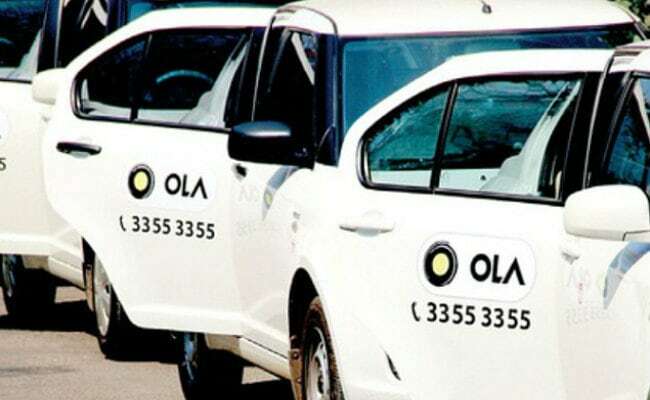 Claiming victory for the owner-operators of Ola cabs in Mumbai and other places, the MNS, in a statement Wednesday night, said the Ola management, during their talks with the police and the wing's representatives earlier in the day, has given a written commitment on meeting the various demands. These include a relook at drivers blacklisted by the taxi aggregator and putting up stickers in Marathi on Ola cabs, the statement said. An Ola spokesperson, in a separate statement, confirmed that the strike had been called off with immediate effect. "Ola would like to apologise to all its customers for the inconvenience caused due to factors beyond its control," the company said. Meanwhile, a similar strike by drivers of Uber, another popular ride-hailing app, continues. "An official of Uber will meet us here tomorrow and a decision on the status of Uber drivers' stir is expected after that meeting," MNS transport wing president Sanjay Naik said. Almost 90 to 95 per cent of Ola and Uber drivers in Mumbai participated in the strike on the third day today, Mr Naik said. On March 19, their drivers went on an indefinite strike to protest against what they claimed low profit margins they get. Mr Naik rubbished claims that agitating drivers hurled stones on Ola and Uber cabs plying on the Mumbai roads. Police have so far arrested 15 people from various parts of the metropolis for damaging cars, a senior official said. It is estimated that over 45,000 app-based cabs operate in the financial capital alone. Drivers of the traditional black and yellow cabs had a field day as they charged extra fare from hapless commuters.